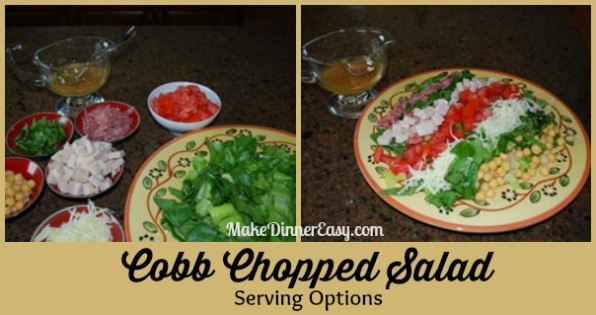 I love all in one meals like this Cobb Chopped Salad recipe. You can make the dressing and prep the ingredients earlier in the day. Then all you need to do is toss it together when you're ready to eat, and you have dinner! Mix Salad ingredients together. Make dressing and mix well. Just before serving add enough dressing to taste to the salad ingredients.